For AFTER HOURS Emergencies weekdays from 5pm - 8am, 10am Saturday - 8am Monday, please call National Home Doctor Service at 13 7425. For emergency service outside these hours please call 000 or report directly to your nearest hospital. To save time when arriving at the practice, please feel free to download our New Patient Details form and complete and bring along to your first appointment. Our practice is committed to preventive care. We offer a reminder system for pap smears, immunisations, blood tests and other preventive health services appropriate to your care. If you do not wish to be part of this system, please advise our reception staff. We prefer to discuss your condition with you before referring to a specialist. If you have previously seen a particular specialist for a continuing problem and need a repeat referral, please advise our receptionist. We ask where possible that you try to obtain your scripts during consultation. If you need repeat scripts we ask that you make an appointment to see one of the doctors, where the medical condition for which the scripts are written can be checked. If you have been seen recently and you require a repeat script, the doctor may write it for you at a cost of $10.00. Test results require an appointment with the doctor. Your doctor will ask you to return for the results of a test rather than telephone. On some occasions your doctor may feel it is suitable to give the result over the phone. In this case the doctor will ask the patient to ring for the result. Your doctor is available by telephone. However, calls to the doctor can sometimes inconvenience patients while in consultation. In some cases, the receptionist may be able to assist you. If your call is urgent you will be put through to the doctor. Messages may be left for the attention of the doctor, and will be returned as soon as possible. Please note that we are a mixed billing practice, only bulk billing children 16 and under and concession card holders (pensioners, seniors and health care card holders). Please refer to our summary of fees displayed at reception. Veterans Affairs patients are billed directly to the Dept of Veterans Affairs. If you are unable to attend your appointment please contact the practice at least four hours before the appointed time so that we may re-book the appointment and make another appointment for you. Translation and Interpreter Service (TIS) for patients who speak languages other than English 133 677. Please refer to our posters in the waiting area. 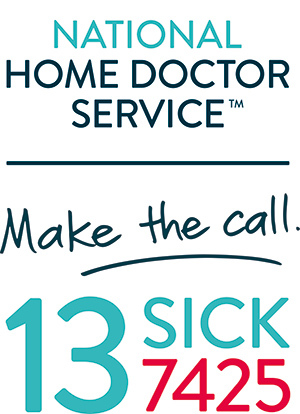 For after hours assistance please ring National Home Doctor Service at 137 425 for home visits. For urgent medical attention please call 000 or go to your closest hospital emergency facility. We use an appointment system to minimise your waiting time – urgent cases are seen on the day. A routine appointment is 15 minutes. Due to unforeseen circumstances, such as an emergency, sometimes delays can occur. Your patience would be appreciated if this should happen with your appointment. If you require a longer appointment please advise the receptionist when booking your appointment. We ask patients to arrive on time for their appointment so others are not inconvenienced. Home/nursing home visits can be made if you live within the local area and are too sick to come to the practice. A home visit can be arranged at a convenient time, usually during the doctor’s lunch break or at the end of their session. It is best to ring early in the day if a home/nursing visit is required. This practice invites patients to complete a patient survey on their views of the practice and how it could be improved. These surveys, available at reception counter, are completely confidential and will help us to improve our services. Your medical record is a confidential document. Our practice policy is to maintain protection of your personal health information at all times and to ensure that this information is only available to authorised members of staff. For further information on your privacy please refer to our Patient Privacy Brochure in our waiting room. We have developed and distribute the knowNOW! practice management intranet system. This tool allows us to maximize our efficiency of operation, and ultimately provide the best possible service to our patients.